The Tour de France has strong connections to the First World War. The 12th Tour in 1914 began the same day Archduke Franz Ferdinand was assassinated, setting off a string of events that led to the outbreak of war. Of the 145 cyclists who started the 1914 Tour de France, 15 would die during the First World War, including three previous Tour champions: Lucien Petit-Breton Mazan (winner in 1907 & 1908), François Faber (winner in 1909) and Octave Lapize (winner in 1910). The 13th edition of the Tour de France took place in 1919, and due to the years of war and the poor conditions of roads, the average speed of riders and the number of officially finishing cyclists (ten) were the lowest in history. Unable to ride his cycle through the mud caused by the recent storm. 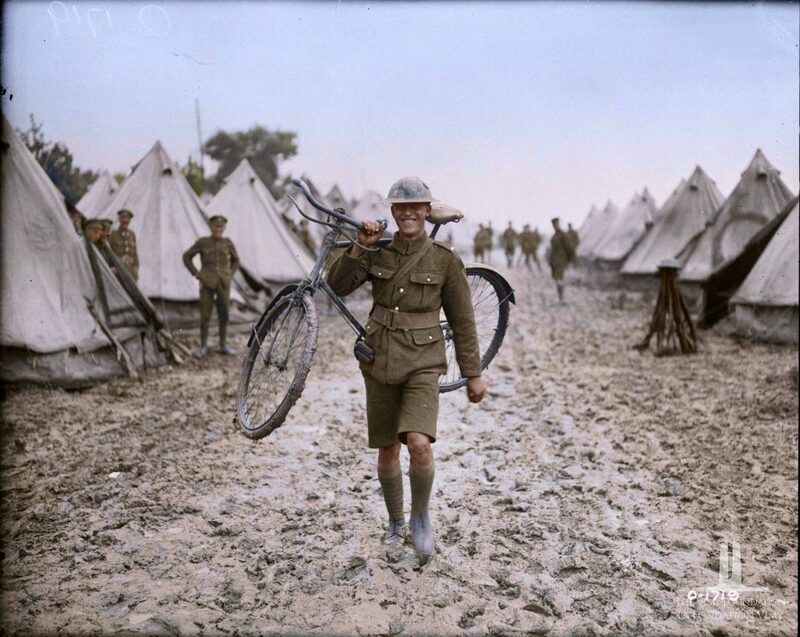 A Canadian messenger carries his “horse”. August, 1917. Library and Archives Canada/ PA-001581 (modified from the original). 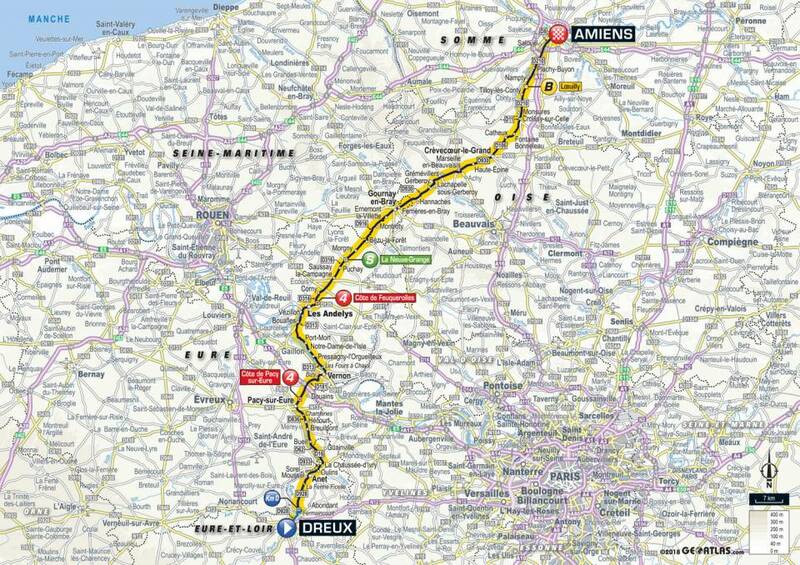 Saturday’s Tour de France stage ends in Amiens. Nearly 100 years ago, the Canadian Corps were secretly moved to the Amiens front and the Battle of Amiens began on August 8. Amiens was an astounding success, the largest one of the war so far for the Allies. However, the eventual victory came at a very heavy cost: 11,822 Canadian casualties. 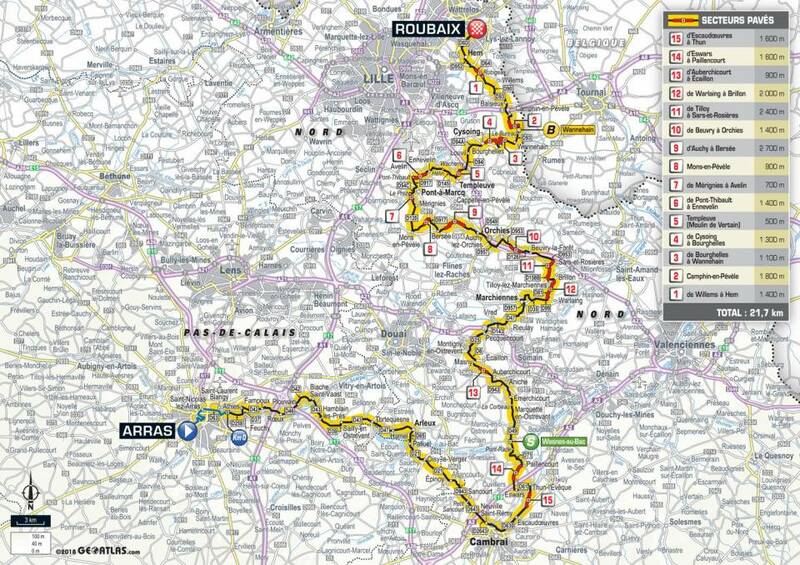 On Sunday, July 15, the Tour de France stage visits many of the sites that Canadians (and Allies of course) fought at during the final 100 days of the First World War, including Arras, Cambrai, and Auberchicourt.